I rarely get around to seeing a movie in the theaters. But I have my quirks about certain things that can draw me into a theater no matter how insanely overpriced they are becoming. So I dragged Danny Boy to see a movie with Nik and Stina. We saw The Woman in Black…. and it’s starring some famous actor named Daniel Radcliffe. Oh who am I kidding, HARRY POTTER! I may have said one too many Harry Potter jokes during the film because Danny was losing his patience with me. I had some low expectations for the film which is a precaution for every horror movie I go see. I am a big fan of horror films old and new. But I don’t expect them to be the best story lines and plots. This film had it’s moments where you nearly jump out of the seat. The storyline drags sometimes which I believe just builds the suspense. They don’t just throw a ghost in your face in the first 10 minutes. What I really enjoyed were the settings and visual imagery that reminded me of two different things. The first thing it reminded me of, The Ring or Ringu (the original Japanese version). The setting on an island in an isolated part of the country as well as the use of water and uncovering of family truths made it feel like a British version of Ringu. The real reason I probably enjoyed this film more than most people is that it reminded me of my travels in Ireland last summer (and not because of the accents). I stayed on Valentia Island for a few weeks and walked that island. I had my fair share of getting lost in fog where you can hear strange noises in the distance but can’t see more than 5 feet in front of you. I also climbed my wall into old and crumbling buildings (though nothing as grand as the house in The Woman in Black). Finally, I recognized some interesting themes that were very prevalent in the film. There is the British fear of protecting children and having someone to leave your estate to. 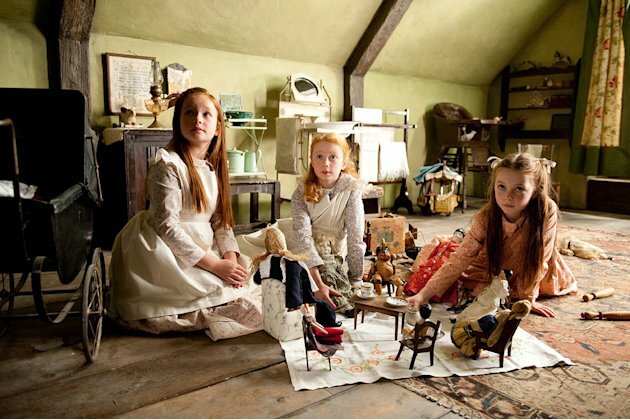 The attack of the children in the film makes a real statement about British culture and their biggest fears and superstitions. There were also some interesting portrayals of Mothers as well as the dead Mother complex that Shakespeare is so full of. You have the main character’s son who lost his mother and then a million mothers who have lost their children. This creates an interesting dynamic. So my recommendations for this film are as following. If you like ghost stories and the horror genre, go ahead and see it. But if you like really fast moving films with lots of plot developments, save this for a rental or pass completely. I personally enjoyed it but I would never try to convince my brother Shawn (who’s much more knowledgeable about film studies than me) to go see it because he would more critical of its flaws. I overlook flaws due to my interest in British culture and love of horror genre. I definitely will be locating the novel version and reading that in the future. I’m thinking a future post will be my Top 20 Horror Movies of all time. I’m due to reflect upon my love of the horror genre and go over some of the best including the best movies to watch to laugh at for being the worst.What’s your favorite horror movie of all time? It’s really a decent horror movie. 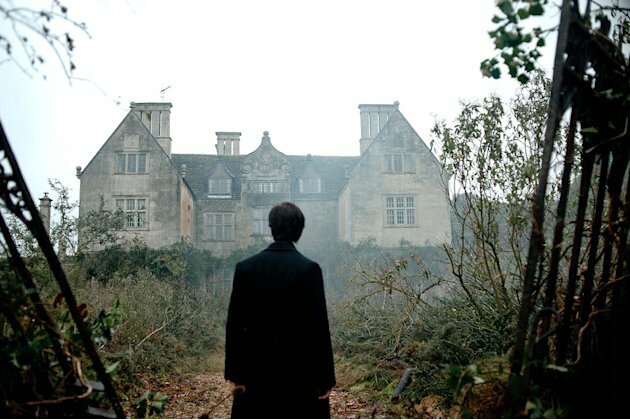 Being a suspense/thriller movie goer, I’m satisfied with Woman in Black. I’m frightened and I like it! These kind of movies doesn’t come often nowadays, so I really recommend this. My favorite horror movie is the one that always scares me every time I watch it, or even thought of it at night – Exorcism of Emily Rose. I only saw that movie recently, like a few months ago and I was very impressed with the Exorcism of Emily Rose. I recall they made a prequel to the original exorcist and I didn’t like it! Good pick!